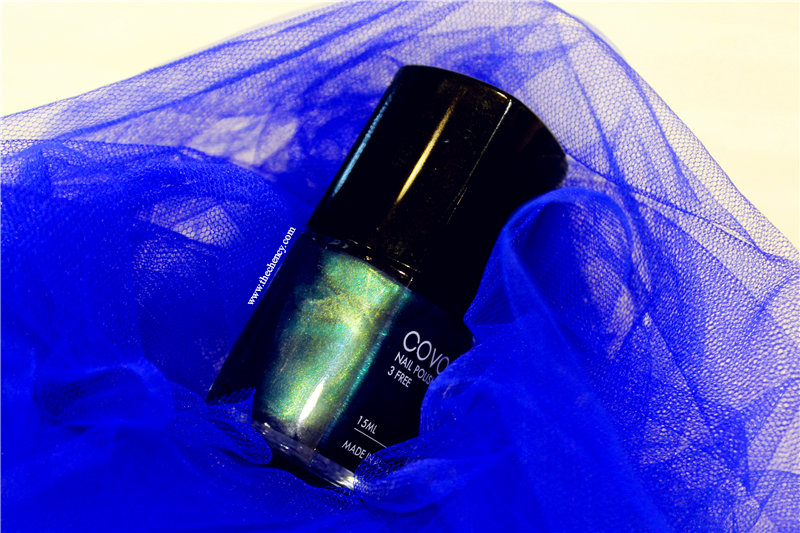 This nail polish gets opaque only in 1 coats but normally I will always go for two coats. It dries up pretty fast but doesn't thicken up. Not only that, what I personally like is very smooth and liquidy but not runny texture. The best part is.... it's only cost me MYR 29 for this such pretty and quality nail polish. 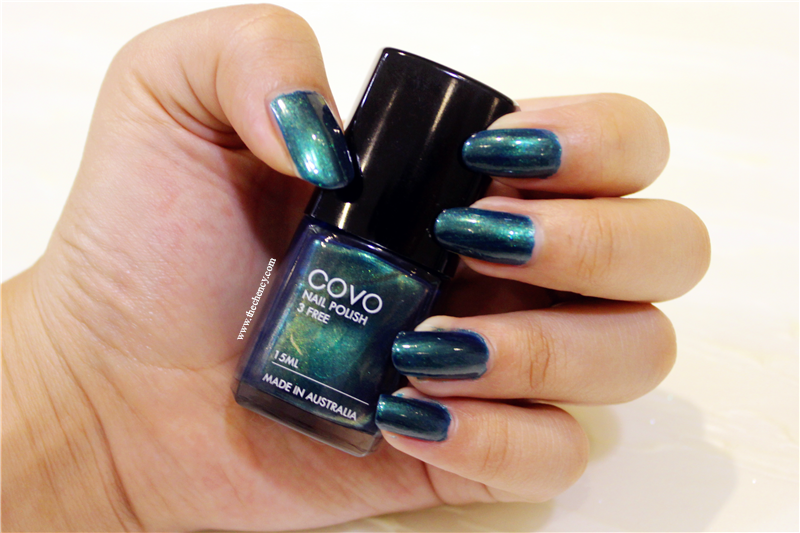 Revlon also has quite similar shades of nail lacquer but the price is lost comparing with Covo Madives. Well~ Definitely not promoting, just highly recommend this nail polish because I love it so much, haha. 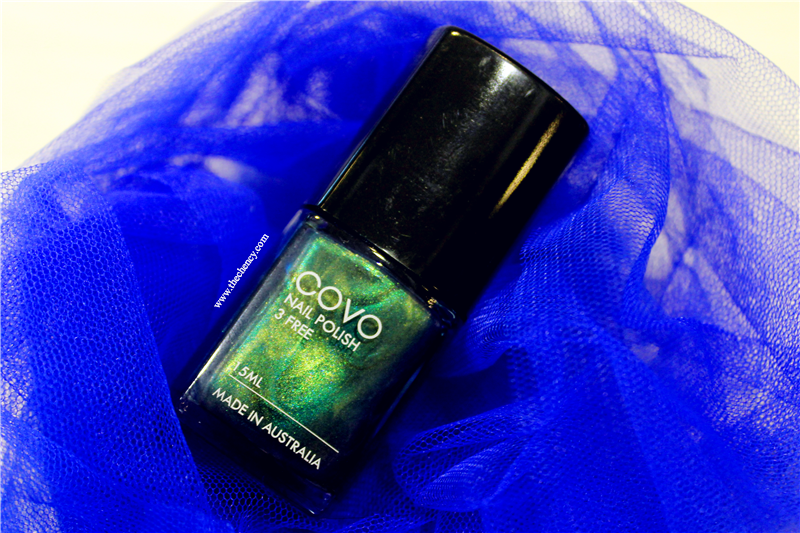 TO SUM IT ALL TOGETHERCovo 3-Free Nail Polish in Maldives is a pretty iridescent blue-green peacocky color. 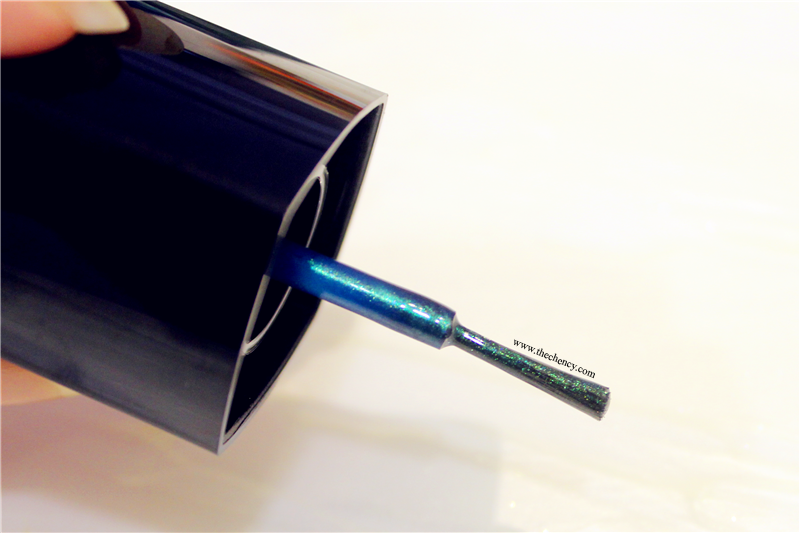 It's applies smoothly and dries pretty fast. It's opaque only in 1 coats but personally suggest go for 2 coats because it gives a beautiful glossy finish after. Besides that, the formulation of this nail polish is also one of main highlights; free from formaldehyde, toluene and dibutyl phthalate (DBP) which are believed to be toxic. For lasting part, personally my nails was pretty good with any types of nail so I couldn't give my point of view. If anyone tried can you tell me about this? :D Lastly, the texture of this nail polish is kinda liquidy but not runny. It also not thicken up into layer when apply too slow. This is the texture that I like the most in nail polish.